G-TEC GenSmart Academy aims at providing learning through reflection on doing. What is Practical Oriented? Why is it needed? Can you imagine someone teaching you to swim or drive a vehicle, within four walls of a classroom? It is impossible!! You have to get into the water to learn swimming and you have to be out on the road to learn driving. Some subjects are skill based and practice oriented. Theoretical knowledge of skill- based subjects needs to be supported by practice. 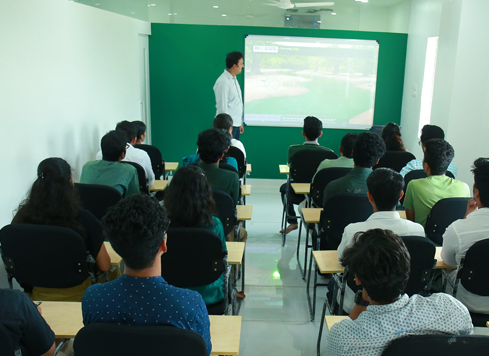 Rather than giving away theory classes, GenSmart believes in practical sessions and experiential learning, which involves direct and active personal experience combined with reflection and feedback. 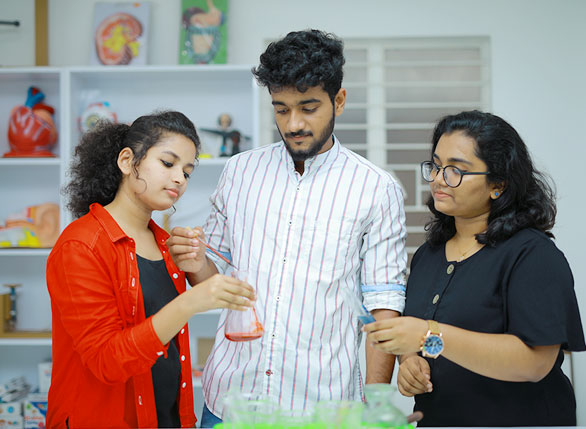 At GenSmart, we provide practical oriented tuition classes for 8th to plus two students providing them with best faculty to solve their doubts at any time. We are conducting entrance oriented batches for plus one & plus two courses. This programme clubs higher secondary syllabus with entrance coaching. Alongside with plus one & plus two coaching aimed at ensuring A+ in all subjects, medical & Engineering entrance coaching is provided to students. Utmost care is taken to ensure a relaxed atmosphere for students so that they don't feel it as a life draining programme. Gone are the days when parents had to send their children to faraway places in search of competitive training. Here is an institution at your next door with no compromise in the quality of the training provided. Marks matters.... The grades & marks obtained in the higher secondary exams now ply a decisive role in shaping doctors and engineers of tomorrow. CANDIDATE realises this fact and has trusted efficient and experienced faculty with the task of helping the students to conquer the heights of HSE exams.